Please download and install IUWEshare Digital Camera Photo Recovery(Win/Mac) on your computer at first. The Canon EOS 5D Mark III records JPEG, RAW and RAW+JPEG on two memory cards: CF card and SD card. If you accidentally delete or format the pictures, the file is still on the card and may be recovered by using specialized Photo Recovery software for Canon EOS 5D Mark III. IUWEshare Digital Camera Photo Recovery(Win/Mac) is the best photo recovery software for digital cameras. Step 1. Connect your camera memory card to the computer. Insert the CF or SD memory card of your Canon EOS 5D Mark III into the card reader on your computer or into an external card reader that is connected to your computer. Step 2. Select storage device to scan. 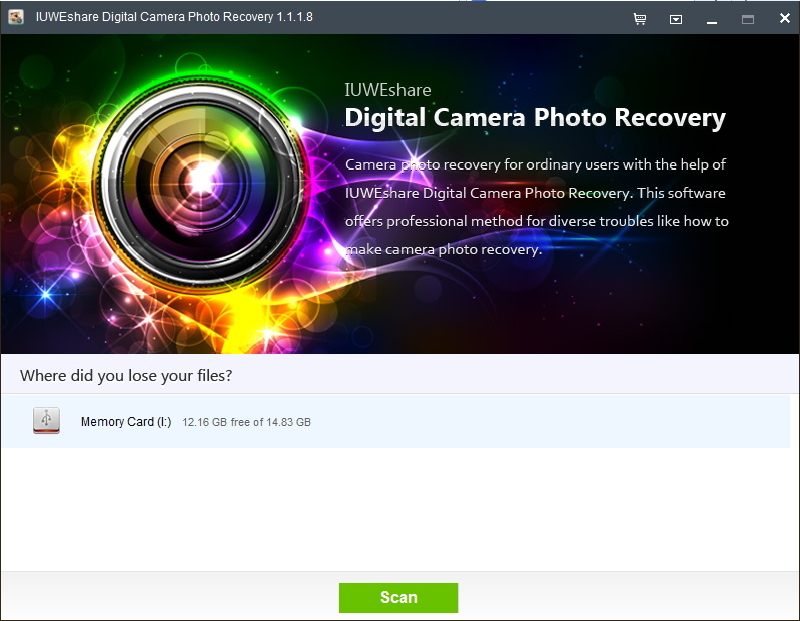 Launch IUWEshare Digital Camera Photo Recovery(Win/Mac), the program will automatically detect all storage device. Select the one that represents your memory card and click "Scan" button to start. Step 3. 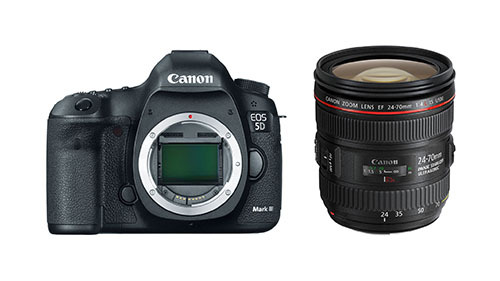 Preview and recover deleted photos from Canon EOS 5D Mark III. After the scan, all the file formats will be listed in the left panel and you can preview the file in details to decide which files you need. Select files you want to recover and hit "Recover" button to get back your lost precious photos from Canon EOS 5D Mark III.